Celebrating 40 Years Of 'Soul Train' For years, millions of kids across the country knew that if it was Saturday morning, it was time for Soul Train. It gave white kids who didn't know or live near anyone black an opportunity to see young black culture up close. For black kids who didn't see themselves reflected in the mainstream media, Soul Train was a revelation. 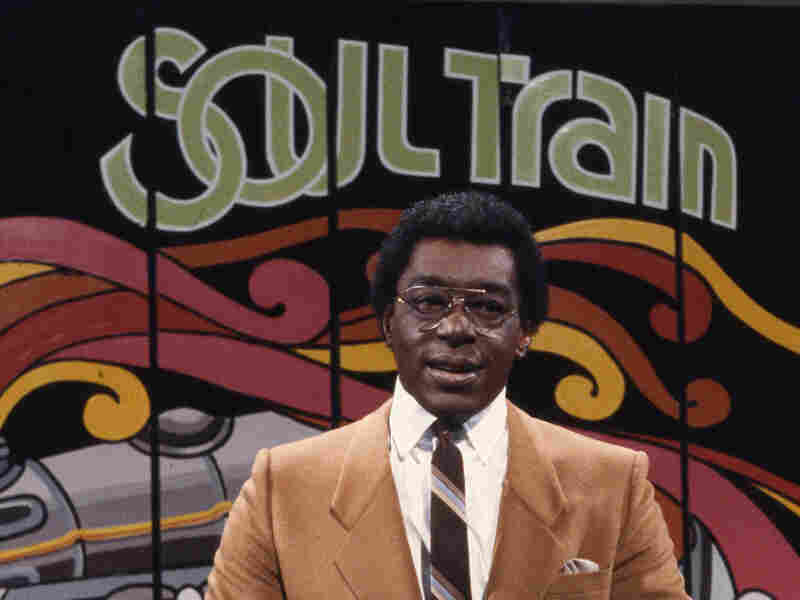 Don Cornelius was Soul Train's host and executive producer, but he was also the show's owner, which made him the first black owner of a nationally syndicated television show. I have to laugh when I see current fashion layouts that feature shorts in corduroy, suede and denim worn with tall boots and vests — and touted as The New Look. Uh, no. That was The New Look 40 years ago, and people picked it up on Soul Train, the hourlong dance variety show that showcased some of the nation's premier soul artists from the early '70s until 2006. On Saturday, VH1 will air an hourlong documentary, Soul Train: The Hippest Trip in America, as part of its rock-doc series. And this doc does indeed rock. Hard. Aretha Franklin. Marvin Gaye. James Brown. George Clinton and Parliament-Funkadelic. Chaka Kahn. Ike and Tina Turner (in, ahem, hot pants and over-the-knee boots). They all appeared at the request of executive producer/owner Don Cornelius, who is credited with being the first black owner of a successful syndicated television show. Later, when the disco craze threatened to derail Soul Train, Cornelius says he had to have a talk with himself. "I realized that a lot of what people were dancing to were black artists — disco could be us, too," he said at the documentary's premiere in Beverly Hills. So Gloria Gaynor, Barry White and Donna Summer all performed their hits under a shimmering, mirrored disco ball. Love to love you, baby. White artists benefited, too. Singer Gino Vanelli said Soul Train made him a crossover success, because his appearances on the show greatly expanded his black fan base. Same for The Average White Band and David Bowie. Probably the most beloved part of the Soul Train hour was when the show focused on its regular teen dancers coming down the Soul Train Line. As the documentary points out, that line has become an integral part of many celebrations. 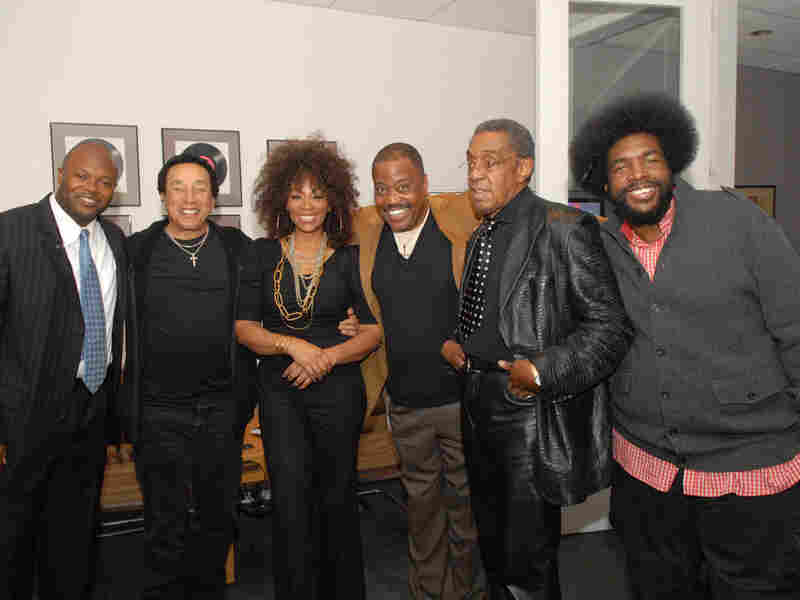 Writer Cheo Horari Coker (from left), singer/producer Smokey Robinson, singer Jody Watley, The Main Ingredient's Cuba Gooding Sr., Soul Train host Don Cornelius and Ahmir "?uestLove" Thompson of The Roots. "Any African-American wedding, you have two things to close it out," Cedric the Entertainer says in the film. "A prayer, and the Soul Train Line." And the line crossed ethnic borders to become a truly American tradition: Home videos in the documentary show couples who are Latino, Asian and white coming down the line at dances, parties, class reunions and weddings. And it wasn't just for young folk: There's a charming clip of a very sedate elderly couple dancing with elegant restraint through a double line of clapping, cheering youngsters. The '70s get a constant drubbing for their bad taste and general lameness, but they got at least one thing right: Soul Train. And for an hour on Saturday night, viewers can acquaint themselves (or, in the case of people my age, reacquaint themselves) with why this show became must-see TV for so many of us. Dancing: mandatory. White suits, platform shoes and medallions: optional.